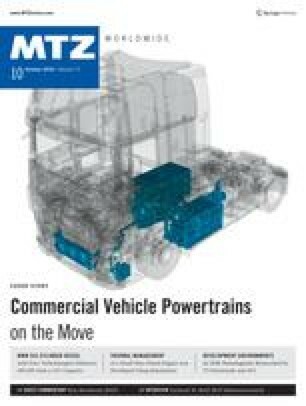 "Passenger vehicles are miles ahead in hybridisation terms"
The use of electric drives for commercial vehicles in urban traffic is inevitable, while the diesel engine will remain the go-to choice for long-distance transport for some time to come, says Professor Gerhard Reiff, Chairman of the Executive Board at KST Motorenversuch. We also sought his views on Rankine systems, on boosting the efficiency of the entire vehicle and on development alliances. MTZ _ Professor Reiff, where do you think the greatest challenge lies in terms of further developing truck engines?